Adaptive Insights LLC (referred to as “Adaptive,” “Adaptive Insights,” “we,” “us,” and “our”) respects your right to privacy. This Privacy Notice explains who we are, how we collect, share, and use personal data about you, and how you can exercise your privacy rights. This Privacy Notice only applies to personal information that we collect about visitors to our websites at www.adaptiveinsights.com, www.adaptiveinsights.fr, www.adaptiveinsights.jp and other Adaptive Insights' websites that link to this Privacy Notice (“Sites”); as well as personal information that we collect when you use or interact with the services we provide to our customer (“Services”). This Notice also describes the choices available to you regarding our use of your personal information and how you can access and update this information. What does Adaptive Insights do? What personal information does Adaptive Insights collect and why? Who does Adaptive Insights share my personal information with? How does Adaptive Insights keep my personal information secure? Adaptive Insights is a leading provider of cloud-based software for everybody in an organisation who plans. Our platform—the Adaptive Insights Business Planning Cloud—transforms business planning into a strategic and competitive advantage by enabling organisations to respond to changing business conditions with confidence and agility. The Adaptive Insights Business Planning Cloud allows customers to rapidly and effectively model their businesses, monitor and analyse performance on an ongoing basis, and generate and share reports and dashboards. In addition, customers can use our Business Planning Cloud to evaluate actual performance versus plan, test alternative scenarios, and leverage insights from analytics to make informed, timely decisions that drive future results. We are headquartered in the U.S., with subsidiaries in the UK and elsewhere. We sell to customers in over 50 countries. 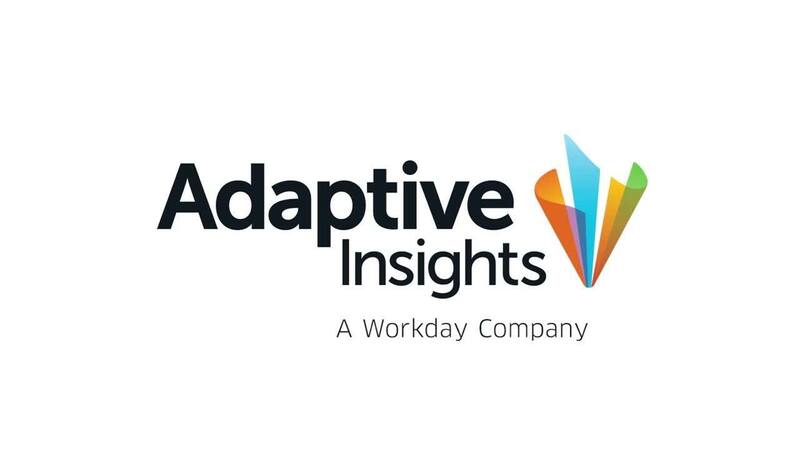 For more information about Adaptive Insights, please see the “About” section of our website at https://www.adaptiveinsights.com/about/our-company. We require customers who register to use the Services offered on our Sites to give us contact information, financial qualification, and billing information. This may include name, job title, department, company name, address, phone number, and email address. We may also ask for additional information about the company. We use this information to set up account information so we can set up the Services for individuals and their organisations. We may also use this information to contact users to further discuss customer interest in Adaptive and its products and Services and to send information such as newsletters, promotions, and events regarding Adaptive. If you subscribe to marketing communications from us and/or submit enquiries to us, we may also ask you to provide contact details such as your name, email address, business phone number and job title. If you indicate that you wish to receive information about Adaptive and our products or services, we collect contact information, such as your name, title, company name, address, phone number, and email address plus certain company information. We use this information to provide you with information about the products and services that we provide and to send information such as newsletters, promotions and events regarding Adaptive. When you visit our Sites and use our Services, we may collect certain information automatically from your device. In some countries, including countries in the European Economic Area (EEA), this information may be considered personal information under applicable data protection laws. Specifically, the information we collect automatically may include information like your Internet protocol (IP) address, internet service provider (ISP), referring/exit pages, the files viewed on our Sites (e.g., HTML pages, graphics, etc. ), operating system, date/time stamp, device type, browser type, broad geographic location, clickstream data and other technical information. We may also collect information about how your device has interacted with our Sites and Services, including the pages accessed and links clicked. Collecting this information enables us to better understand the visitors who come to our Sites and the users of our Services, where they come from, and what content on our Sites and in our Services is of interest to them. We use this information for our internal analytics purposes, to analyse trends in the aggregate, to administer the Sites and Services, and to improve the quality and relevance of our Sites and Services to our visitors, customers, and other users. We also use this information to improve, test, and maintain our Services and develop additional products and Services. From time to time, we may receive personal information about you from our authorised third-party partners. The types of information we collect from these third parties include name, job title, department, company name, address, phone number and email address. We use the information to help Adaptive communicate with you about offers from Adaptive. We only receive this information where we have checked that these third parties either have your consent or these third parties are otherwise legally permitted or required to disclose your personal information to us. to our group of companies, affiliates, trusted third-party service providers, vendors, and partners contracted to provide services on behalf of Adaptive. These third-party service providers or vendors may use information we provide to them only as instructed by Adaptive. Adaptive may offer the following solely or jointly with third parties or partners: webinars, events, white paper downloads, or other services related to Adaptive offerings or services. We may share your contact information and interests in these offerings or services with these approved third parties to communicate with you about Adaptive. When you attend an event (either sponsored by Adaptive or one where Adaptive is a participating vendor) and have your badge scanned, your information will be shared with Adaptive, as well as with any partner or third party participating in that event, and potentially with the entity sponsoring your attendance at the event. For example, if your badge is scanned as you attend a session at a Adaptive-sponsored conference, Adaptive and any co-presenters will have access to that information to understand who was in attendance, and potentially follow up with you on relevant products or services. If you do not want your information shared with Adaptive or partners in this manner, do not have your badge scanned. If your badged is scanned by a partner or a third party at an event, your information will be governed by that party’s privacy statement. to any competent law enforcement body, regulatory body, government agency, court, or other third party where we believe disclosure is necessary (i) as a matter of applicable law or regulation, (ii) to exercise, establish, or defend our legal rights, or (iii) to protect your vital interests or those of any other person. to investigate, prevent, or take action regarding illegal activities, suspected fraud, situations involving potential threats to the physical safety of any person, violations of Adaptive’s terms and conditions or as otherwise required by law. to an actual or potential buyer (and its agents and advisers) in connection with any actual or proposed purchase, merger, or acquisition of any part of our business, provided that we inform the buyer it must use your personal information only for the purposes disclosed in this Privacy Notice. In the event of a change in ownership, you will be notified via email and/or a prominent notice on our Sites of the change in ownership or uses of your personal information, as well as any choices you may have regarding your personal information. When you are using the mobile application for the Adaptive Live event, we may obtain information or access data stored on your device, to provide services related to the relevant mobile application. Adaptive uses this information to deliver requested application services, to continue to improve our mobile applications, and to facilitate event participation, such as providing event schedules and the opportunity to connect with event attendees. Adaptive may also collect information from your usage of the mobile application to improve events and services, communicate with you about the event and relevant products and services, and for security purposes. However, we will normally collect personal information from you only (i) where we need the personal information to perform a contract with you (including to provide Services), (ii) where the processing is in our legitimate interests and not overridden by your rights, or (iii) where we have your consent to do so. In some cases, we may also have a legal obligation to collect personal information from you or may otherwise need the personal information to protect your vital interests or those of another person. If we collect and use your personal information in reliance on our legitimate interests (or those of any third party), this interest will normally be to operate our Sites and Services and to communicate with you as necessary to provide our Sites and Services to you and for our legitimate commercial interest, for instance, when responding to your queries, improving our Sites and Services, undertaking marketing, or for the purposes of detecting or preventing illegal activities. We may have other legitimate interests, and if appropriate we will make clear to you at the relevant time what those legitimate interests are. We use appropriate technical and organisational measures to protect the personal information that we collect and process about you. The measures we use are designed to provide a level of security appropriate to the risk of processing your personal information. When you enter sensitive information (such as login credentials), we encrypt the transmission of that information using secure socket layer technology (SSL). We follow generally accepted standards to protect the personal information submitted to us, both during transmission and once we receive it. No method of transmission over the internet or method of electronic storage is 100% secure, however. Therefore, we cannot guarantee its absolute secrecy. If you have any questions about security on our Sites, you can contact us at security@adaptiveinsights.com. Your personal information may be transferred to, and processed in, countries other than the country in which you are a resident. These countries may have data protection laws that are different from the laws of your country and, in some cases, may not provide the same level of protection. Specifically, our Sites and Services are hosted in the USA, and our group companies and third-party service providers and partners operate around the world. The data we collect from you may be transferred to, and stored at, a destination outside the EEA. It may also be processed by staff operating outside the EEA who work for us or for one of our service providers. However, we have taken appropriate safeguards to require that your personal information will remain protected in accordance with this Privacy Notice. These include EU-US and Swiss-US Privacy Shield, as well as APEC participation. Adaptive Insights participates in and has certified their compliance with the EU-U.S. Privacy Shield Framework and the Swiss-U.S. Privacy Shield Framework. Adaptive Insights is committed to subjecting all personal data received from European Union (EU) member countries, the United Kingdom, and Switzerland, respectively, in reliance on each Privacy Shield Framework, to the Framework’s applicable Principles. To learn more about the Privacy Shield Frameworks, and to view our certification, visit the U.S. Department of Commerce’s Privacy Shield List: https://www.privacyshield.gov. Adaptive Insights is responsible for the processing of personal data it receives, under each Privacy Shield Framework, and subsequently transfers to a third party acting as an agent on its behalf. Adaptive Insights complies with the Privacy Shield Principles for all onward transfers of personal data from the EU, the United Kingdom, and Switzerland, including the onward transfer liability provisions. Adaptive Insights has further committed to cooperate with the panel established by the EU data protection authorities (DPAs) and the Swiss Federal Data Protection and Information Commissioner (FDPIC) with regard to unresolved Privacy Shield complaints concerning human resources data transferred from the EU, the United Kingdom, and Switzerland in the context of the employment relationship. With respect to personal data received or transferred pursuant to the Privacy Shield Frameworks, Adaptive Insights is subject to the regulatory enforcement powers of the U.S. Federal Trade Commission. In certain situations, Adaptive Insights may be required to disclose personal data in response to lawful requests by public authorities, including to meet national security or law enforcement requirements. The Adaptive Insights privacy practices, described in this Notice, comply with the APEC Cross Border Privacy Rules System. The APEC CBPR system provides a framework for organisations to ensure protection of personal information transferred amongst participating APEC economies. More information about the APEC framework can be found here. The APEC certification does not apply to instances where we process data on behalf of clients for their benefit, such as when we act as a data processor. We retain personal information we collect from you where we have an ongoing legitimate business need to do so (for example, to provide you with a Service you have requested, for as long as your account remains active, or to comply with applicable legal, tax, or accounting requirements). When we have no ongoing legitimate business need to process your personal information, we will either delete or anonymise it or, if this is not possible (for example, because your personal information has been stored in backup archives), then we will securely shop your personal information and isolate it from any further processing until deletion is possible. If you wish to update or delete your testimonial or to request removal of your personal information from our community forum, contact us at privacy@adaptiveinsights.com. In some cases, we may not be able to remove your personal information from our community forum, in which case we will let you know that we are unable to do so and why. Registered users can update or cancel their account or remove their account information at any time by logging on to the Sites and editing their account information. Alternatively, registered users can email our Customer Support at support@adaptiveinsights.com or postal mail provided under the “How to contact us” heading below. If you wish to access, correct, update, or request deletion of your personal information. These rights can be exercised by contacting us at the contact details provided under the “How to contact us” heading below. You have the right to opt out of marketing communications we send you at any time. You can exercise this right by sending us an email at support@adaptiveinsights.com, or you can unsubscribe by following instructions contained in the message you received. We do reserve the right to send you certain communications relating to the Services, such as service announcements and administrative messages, that are considered part of your account membership, and we do not offer you the opportunity to opt out of receiving those messages. You have the right to complain to a data protection authority about our collection and use of your personal information. For more information, please contact your local data protection authority. Contact details for data protection authorities in the European Economic Area, the United Kingdom, Switzerland, and certain non-European countries (including the U.S. and Canada) are available here. We respond to all requests we receive from individuals wishing to exercise their data protection rights in accordance with applicable data protection laws. The data controller of your personal information is Adaptive Insights Inc. The Sites may contain links to other websites. This Privacy Notice only applies to our Sites, and we are not responsible for the privacy practices or content of other websites. You should check the privacy notices of those sites before providing your personal information to them. We may update this Privacy Notice from time to time in response to changing legal, technical, or business developments. When we update our Privacy Notice, we will take appropriate measures to inform you, consistent with the significance of the changes we make. We will obtain your consent to any material Privacy Notice changes if and where this is required by applicable data protection laws. We will notify you of any material changes by email (sent to the e-mail address specified in your account) or by means of notice on this Site prior to the change becoming effective.